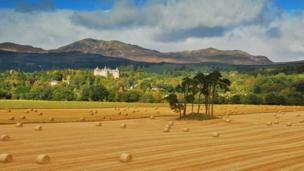 A selection of your pictures of Scotland between 28 September and 5 October. 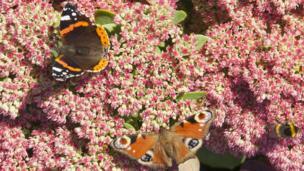 A peacock and red admiral butterfly feed on the sedum at Drum Castle in Aberdeenshire in the late summer sun. Picture taken by Ian Cameron from Aberdeen. 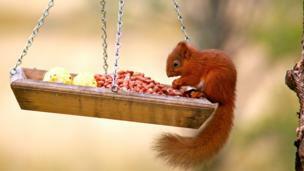 Gary Lowes photographed a baby red squirrel feeding up before the winter in Strathyre near Callander. 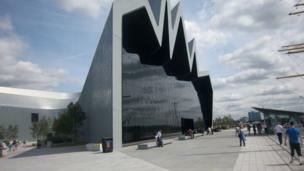 Ken Robb from Ontario said he had a great day at the Transport Museum in Glasgow during his holiday. 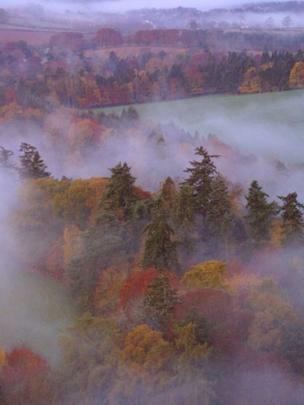 Barbara Elliot captured this early morning shot of Scott's View in the Scottish Borders. 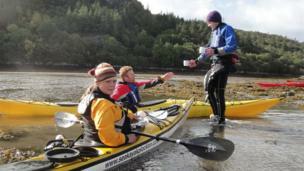 Hugh Evans, Will Evans and Alison French take a coffee break during a sea kayaking holiday in Plockton. 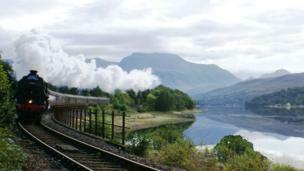 Image taken by Richard Manley from Cheshire. 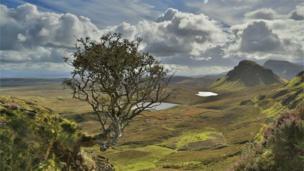 Londoner Henry Botelho took this shot of Quiraing on the Isle of Skye, during his third visit there this year. 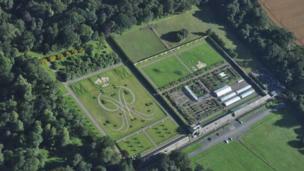 Cammy Reith from Hawick was in a helicopter when he photographed the Duke's Garden at Floors Castle in Kelso. 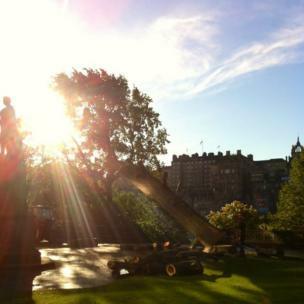 Jennifer Cameron from Edinburgh took this shot of tree-felling in the city's Princes Street Gardens, following heavy winds. 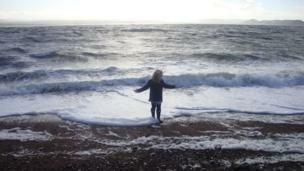 Holly Paterson from Inverness enjoys the waves on a windy autumn day at Channory Point in Fortrose. 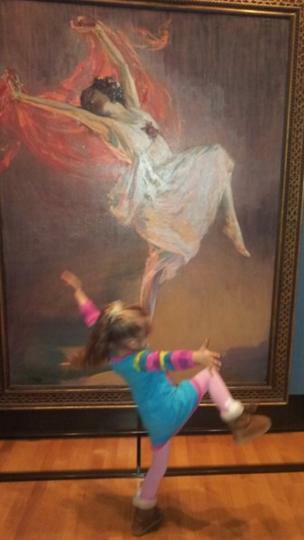 Image taken by Holly's grandfather, Alister Paterson.